Built in 1915 at George Lawley and Son, Shipbuilding Corp, Neponset, MA. Acquired by the Navy from R.J. Rheem, 13 February 1942, at San Diego, CA. 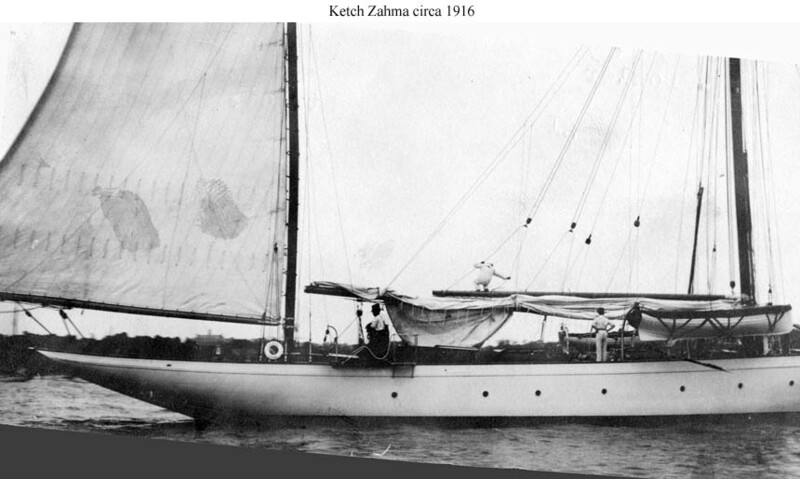 85k Ketch Yacht Zahma around 1916. This photograph is from a data card maintained by the Navy on the vessel during World War I. At that time the Navy considered her "unsuitable for Naval use" and did not assign her an identification number.